Now, before you even make the comment — the author is well aware of the fact that Coinbase has not technically announced that they are going to add $ZCASH, but it seems almost inevitable that they will at some point. And if they don’t, then Coinbase more than likely named $ZCASH because they were looking to pump the coin’s value. Those are all great questions and ones that you, as an investigative and intelligent reader, should be asking. So let’s start by tracking this thing back to the beginning shall we? 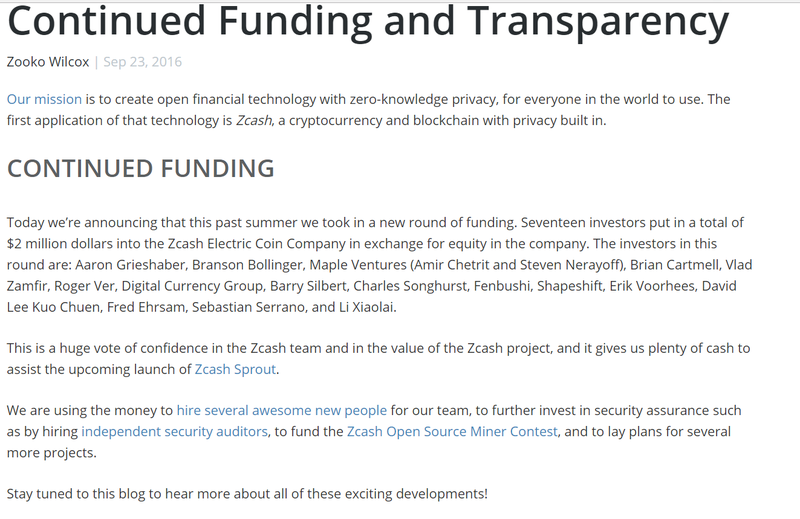 The purpose of this article is not to necessarily blast ZCash as a project (or any of its forks/derivatives), but rather to shine a light on some seriously questionable activity regarding the protocol’s governance. 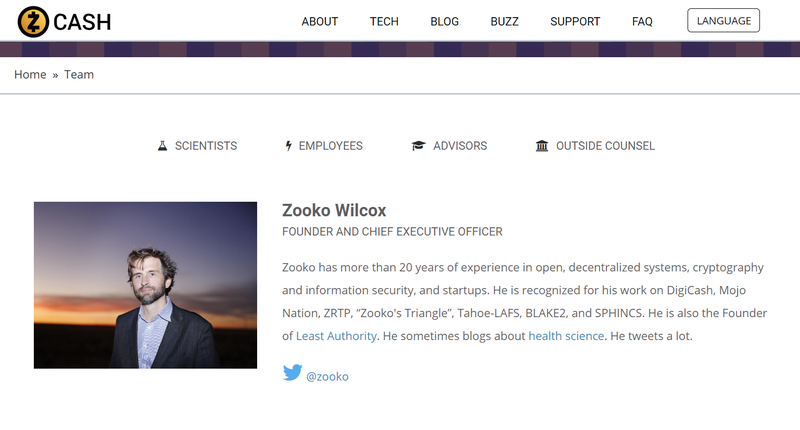 Before you jump to any conclusions — No, this article is not designed to criticize Zooko’s 7/8-figure salary that he’s earning as the project lead. In fact, he’s just a side story in the main picture that this article will draw. Instead, this article will focus on the twisted relationship between $ZCASH, Coinbase, and CoinDesk. What do all of those entities have in common? Great question — this article will explain. The founder and CEO of ZCash is Zooko Wilcox. This is pretty widely known information for most individuals that are familiar with the ZCash project/protocol. 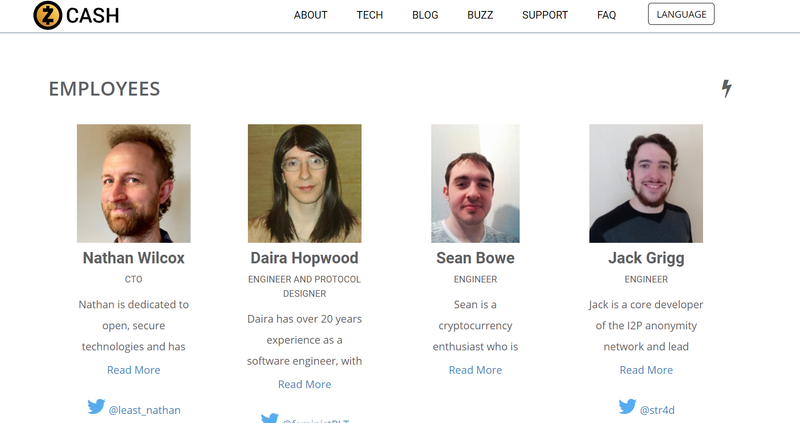 Also, on the same website there’s a few more entries for some of the team members of $ZCASH. The individuals listed above are innocuous enough. No problem. Whether you agree with the payments that Zooko receives from the protocol or not are neither here nor there when it comes to this article (note: that’s the reason why ZClassic branched off). 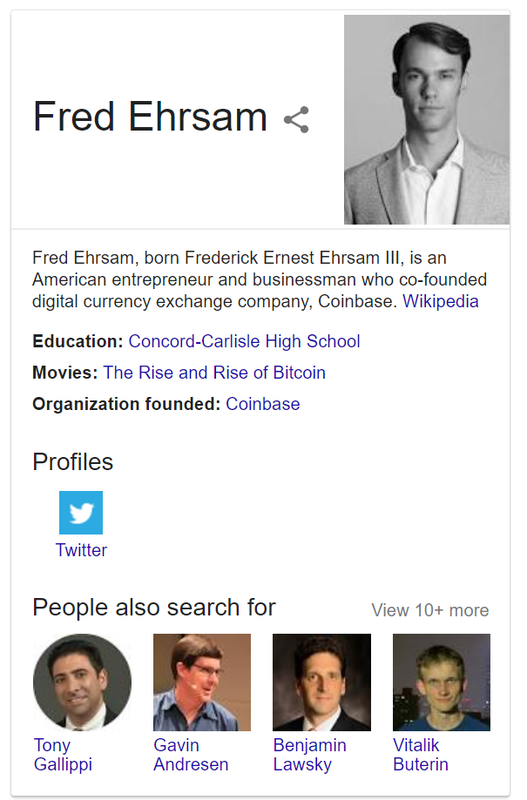 Who Are Fred Ehrsam and Barry Silbert? Although, it must be noted that he left Coinbase at the beginning of 2017. Now, if you don’t know who Barry Silbert is, then you’re truly missing out! He’s the owner and founder of Digital Currency Group, the biggest conglomerate in all of cryptocurrency right now. Long story, short — he has his hands in most things in the crypto space. 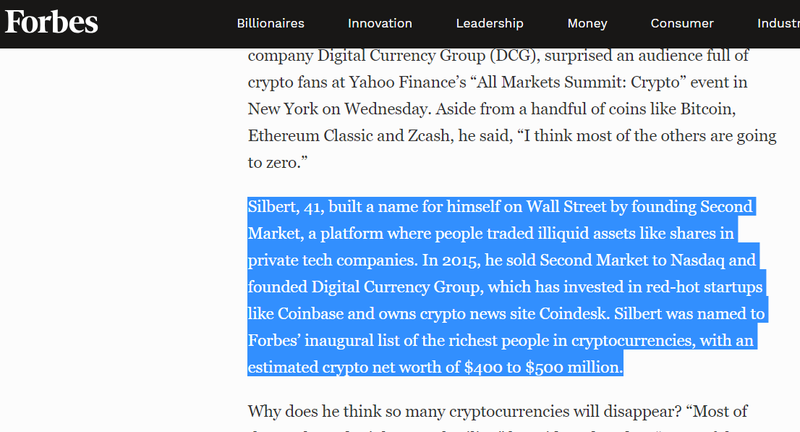 But what’s most notable is the fact that he essentially owns CoinDesk and Coinbase. Now that we have those facts, let’s look at ZCash coverage in recent days. Since ZCash’s inception, CoinDesk has ran shill piece after shill piece on the cryptocurrency without even the slightest mention of a conflict of interest (i.e., their owner having a massive stake in the cryptocurrency). In the article, CoinDesk can hardly contain their enthusiasm over the ‘secretive’ process that ZCash devs use to update the main protocol. 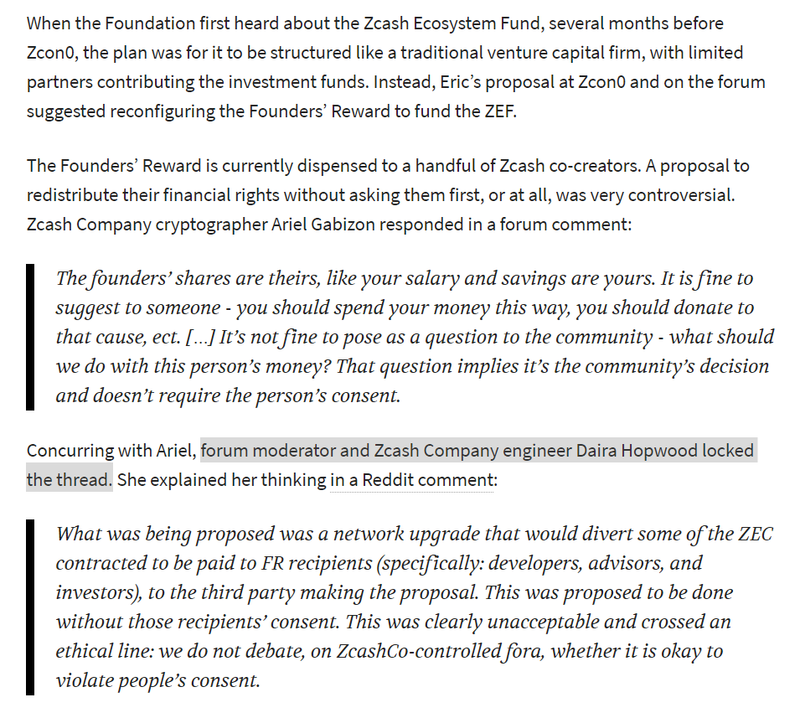 Yet another flowery article that somehow implies that ZCash could operate the first, true ‘non-profit’, despite the fact that the developers of the protocol itself are rewarded extremely well on a monthly basis (20% of all newly minted coins approximately; yes really). 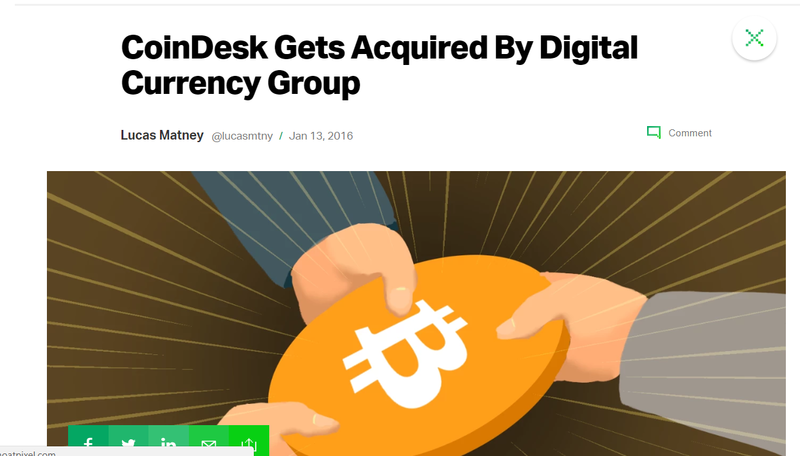 Of course, this is something that CoinDesk merely brushed under the rug as nothing more than a ‘disgruntled employee’ of sorts. The alleged non-profit has served as nothing more than a soapbox for those that are actually running the project. Apparently, in the minds of those that run the ‘decentralized’ and ‘anonymous’ ZCash Foundation, the concept of any money being redistributed from the founders of the protocol to go toward actually improving the viability of the cryptocurrency itself is virtually blasphemous (even though the suggestion to do so was essentially democratic in nature). Making a whopping total of $305k/month (currently; before, he was making north of $1.5M/month) — Zooko is the head of a protocol that can’t seem to find a way to pay its developers a living wage. Interesting, right? And even more interesting that one of ZCash’s main investors (owner of CoinDesk), comes running to the defense of $ZEC when the crypto community and others start to question why in the world Zooko receives so much money on a protocol where the governance of financial funds appears to be one of the foremost concerns of investors and developers alike (that’s an entirely different issue that we won’t even climb into). This was perhaps the icing on the cake for $ZEC. Recently, Coinbase announced that they were ‘considering’ adding $ZEC to their exchange. Obviously, this news had a palpably positive impact on $ZEC. As mentioned earlier in the article, Barry Silbert also has a major stake in Coinbase too! Of course, there was no mention of this in Coinbase’s announcement, their blogs, forums, or any other identifiable platforms where they could’ve more than easily disclosed this information to investors. 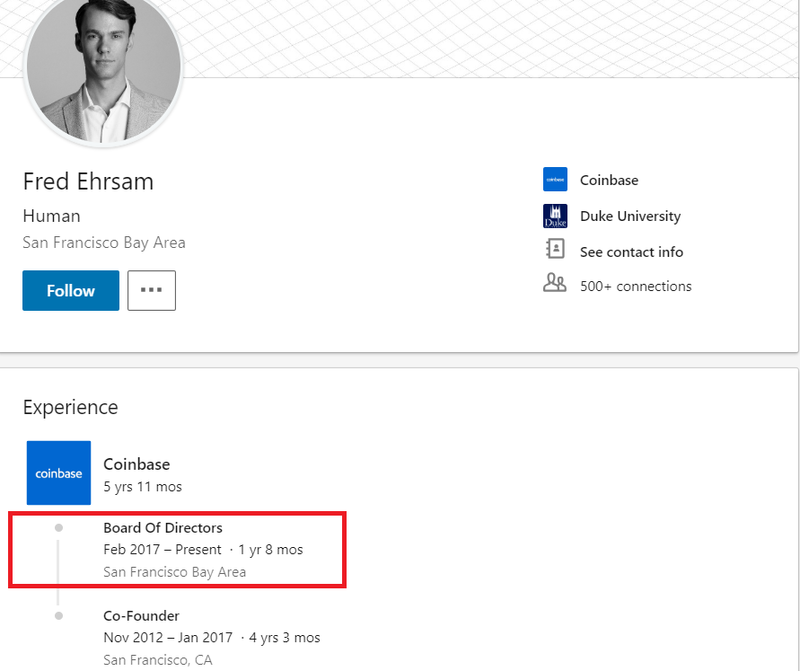 To say that Coinbase isn’t another major shitshow in itself though, would be a major lie — so can we really be surprised at their conduct? It appears that honesty and integrity are in short supply in the crypto sphere and that, what were once considered to be noteworthy pillars of the crypto community (i.e., Coinbase and CoinDesk), are now relegated to simply pushing out news to pump coins and make certain conglomerates of crypto holders rich at their whim. The sad part is that this article, which is somewhat lengthy, doesn’t even touch the surface on the issues latent within the ZCash community, protocol, or investors. 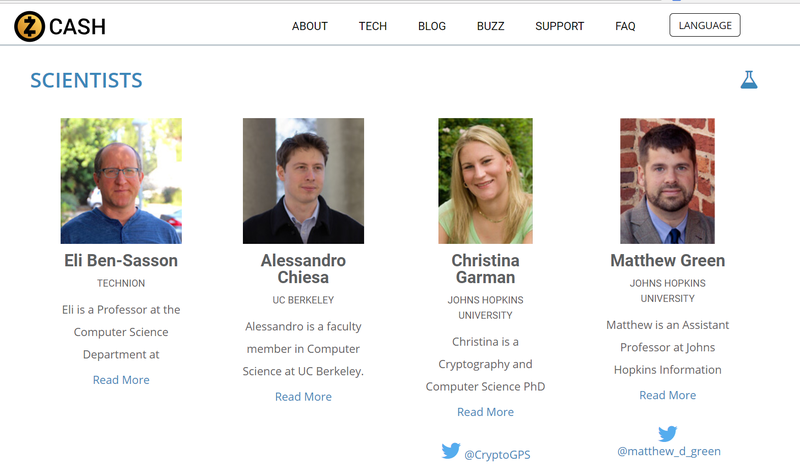 This article doesn’t even get into Xiaolai Li or even really dig into Roger Ver or Fred Ehrsam. Those ‘redactions’ were done purposefully. We will get to those individuals soon enough and we will explore the ins and outs of this protocol and why this is one that you should steer clear from — at all costs.